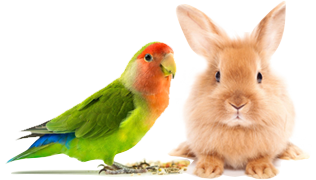 Win $50 of gourmet bird food – Pet Birds by Lafeber Co.
No purchase necessary to be entered in drawings. Void where prohibited. Open only to legal residents of the 50 states of the U.S. (including the District of Columbia) and Canada, 18 or older. ELIGIBILITY: Employees of Lafeber Company or members of their families are ineligible. SELECTION AND NOTIFICATION OF WINNERS: Winner(s) will be selected in a random drawing at the end of every month and not later than the 5th day of the following month. Once submitted, entries become the sole property of Lafeber Company. Winners will be notified by e-mail. If potential winner cannot be reached after 10 days from first notification attempt, or if an entrant is found to be ineligible, or prize notification is returned as undeliverable, such prize will be forfeited and an alternate winner selected. GENERAL: Prizes are non-transferable and cannot be exchanged for cash.